I was sent the new Sun-chlorella Moisturiser with includes chlorella in the cream! 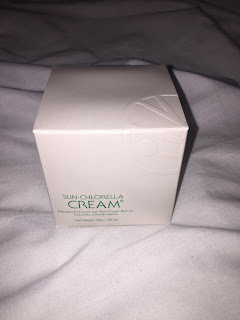 Sun- chlorella cream is a day and night moisturiser that claims to be rich in Chlorella growth factor. 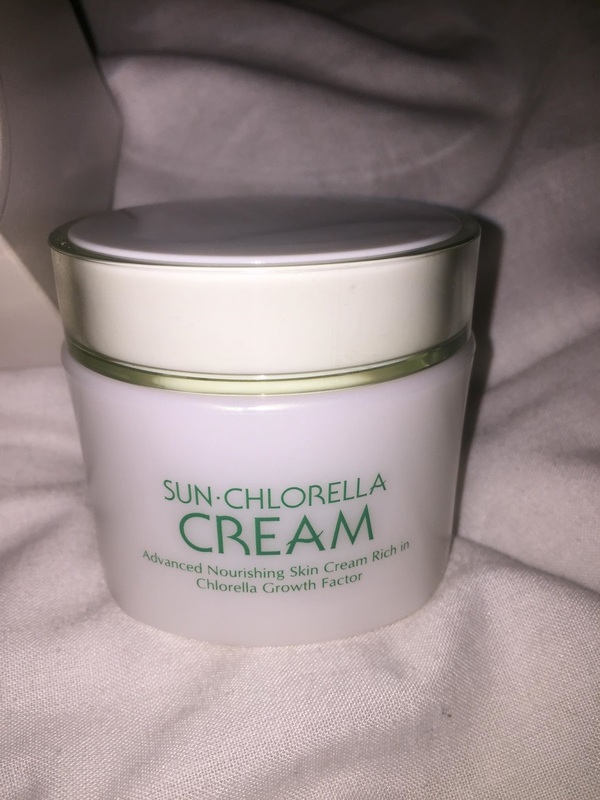 The first thing that interested me in this product is the science behind it and how they explain on their website how the chlorella is used in this product and how it extremely organic and great for any skin type while always getting nutrients from this product. 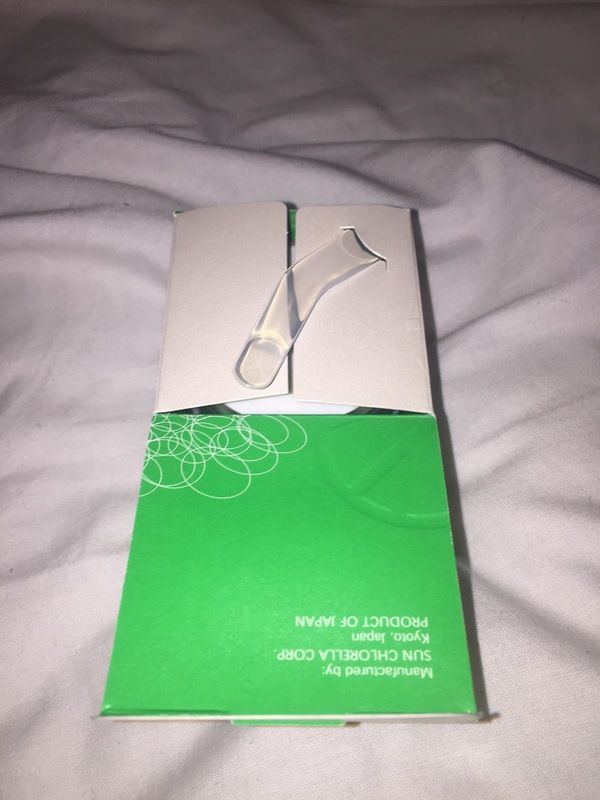 The packaging of the product is very clean and simple which I like as it represents the posted being plain, simple and natural, I also like the packaging as they don't have to try to hard by making the packaging interesting to a consumer by being bright or colourful or glittery as they know the facts of the products and the product itself would interest the consumer enough. 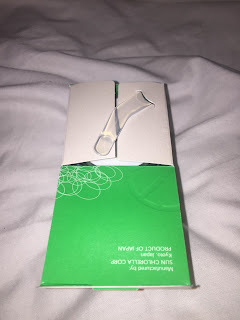 When first opening the box you find a small plastic scooper which you can apply the moisturiser with, I really liked this added feature as it makes the product very individual and different to other products on the market. 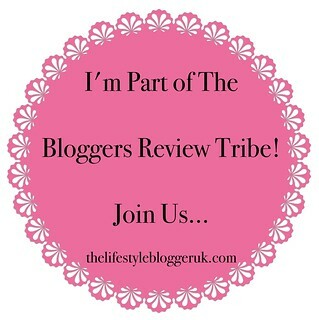 The formula of the moisturiser is of a thick and shiny consistency with a beautiful scent that excretes as soon as you open the lid; when applied to your skin the thick cream begins to feel like a smooth hydrating layer has been applied to your skin and makes it instantly feel healthier as you can feel it soaking deep into your pores, making your skin feel fresh, rejuvenated, hydrated and clear. Within days of using the product by skin became more glowy and I had a new complexion that I am now extremely happy with. I would definitely recommend this product to anyone interested in a new, effective moisturiser and I would happily purchase this myself, this is an amazing product inside and out. You can purchase this product today at: www.sunchlorella.co.uk or at health stores nationwide.